The ODI series gets underway on September 30. 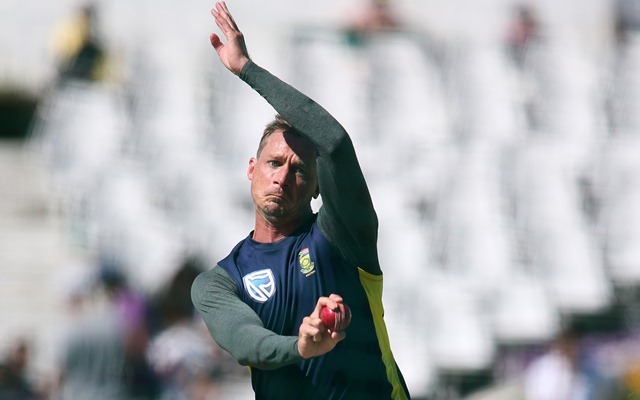 Fast bowler Dale Steyn found himself getting picked for a South African ODI side in over two years as he was named in the squad for three 50-over games against Zimbabwe starting September 30. Steyn’s last appearance in an ODI was against Australia in October 2016 and the 35-year-old recently made a return to international cricket after an injury lay-off. The Proteas also called back leg-spinner Imran Tahir, who was rested for the away series in Sri Lanka which they won 3-2, while Christiaan Jonker was the only uncapped player in the squad. South Africa ‘A’ captain Khaya Zondo, who has featured in three ODIs, was also included in the squad. South Africa will also play three T20Is against Zimbabwe after the ODIs get over. The Proteas, however, kept out wicketkeeper-batsman Quinton de Kock and lower-order hitter David Miller of the squad. The idea is to try young players ahead of the next World Cup scheduled in England between May and July next year. Heinrich Klassen, who made an impressive debut against India earlier this year, will don the gloves in the absence of de Kock. Captain Faf du Plessis, who was ruled out of the series against Sri Lanka midway because of injury, has been in both squads but if he fails to play in either the ODIs or T20Is, a replacement skipper will be picked, said a report in South Africa’s Sports24.co.za. Fast bowler Kagiso Rabada has also been rested for the T20I series while Rassie van der Dussen and Gihahn Cloete have got their maiden calls in T20Is. All-rounder Robbie Frylinck, who last played a T20I for South Africa in 2017, has also been recalled. While the three ODIs will be played on September 30, October 3 and 6, the T20Is will be played on October 9, 12 and 14.